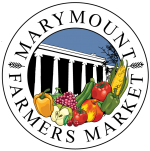 The Lee Highway Alliance, in conjunction with Marymount University and Field to Table, will host its second Oktoberfest event on the main campus at the Marymount Farmers Market. The festival will include traditional German music, grilled German sausages, Viennese bakers in traditional dress, raffles of German and other products, and face painting. Vendors at the farmers market will offer a wide range of seasonal fruits and vegetables as well as an international collection of ethnic foods. The festival’s hours are 9:30 a.m. – 12:30 p.m. The farmers market’s hours are 9 a.m. till 1 p.m. For young and old alike! Wear any traditional German dress you may have. Park in the university’s Blue Garage off of Yorktown Boulevard. Come join the fest and fun! The address is 2807 N. Glebe Rd. Enjoy North Arlington Gemuetlichkeit!